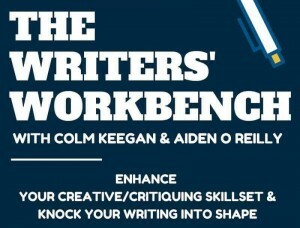 Colm Keegan & myself are teaming up to give a 6-week course in creative writing. Enhance your creative/critiquing skillset and knock your writing into shape. Schematically Keegan will cover the ‘Creative’ aspects and O’Reilly the ‘Critiquing’ – but the main reason for two instructors is for variety. Held at Block T creative hub, just a minute walk from Fatima Luas stop. Or 5 minutes up from James Hospital / 10 mins from Heuston station.